In 2010, restructuring ended Paul McMahon’s 14-year tenure as a corporate and marketing communications executive at a large consumer technology company. 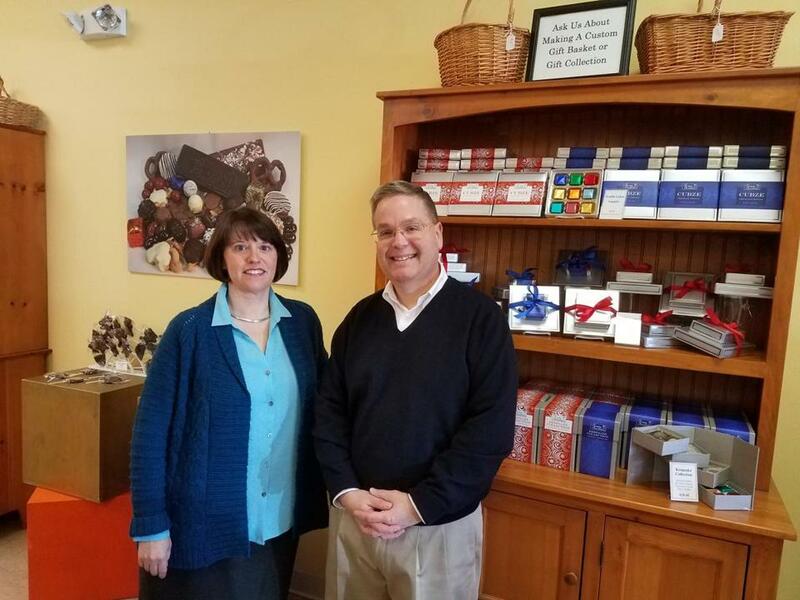 His search for a new endeavor combining his creativity and business acumen led McMahon to turn his hobby of chocolate-making into a business. Co-founded with his wife, Michelle, the Happy Chocolatier in Acton celebrated its five-year anniversary in October selling chocolates, ice cream, frozen yogurt, and sorbet. Q. What inspired you to launch the business? A. I had this crazy idea for a chocolate product: cubed truffles that are individually hand-foiled with inspirational messages of happiness inside. They’re called truffle Cubze, and they’re our signature product in a line of chocolate bars, barks, turtles, creams, sea salt caramels, covered nuts, and seasonal and specialty items. It has been exciting to create a new product and brand. Q. What was the first step? A. You can’t simply sell a product. You need to get your team on board with the mission, which in our case is offering an indulgent chocolate experience, and make it the driver for all decision-making. Today, the business comprises the retail shop, corporate gifts, and wholesale sales to specialty food shops. They’re all ways to spread chocolate happiness, and from a business standpoint, three ways to grow, build revenue, and increase our chance of success. Q. What goes on that customers don’t see? A. As a small business owner, you put everything from your career to your reputation and personal finances on the line. It takes a lot of courage and determination to take that step and keep going because there will be things out of your control, and you’ll make mistakes despite your best research and planning. Q. How do you overcome obstacles? A. Being an entrepreneur requires you to be adaptable, persistent, and not lose sight of the vision. You also need to leave your ego at the door, because part of being the CEO is making sure the floor is mopped and the bathroom is clean. Q. How do you handle the inevitable ups and downs? A. That’s when you pull out your business plan and review what has changed and what can be done better. Despite the challenges, bringing an idea to life and having people love it and share it is gratifying. Doing it with limited resources makes it all the more rewarding. The Happy Chocolatier is located at 340 Great Road in Acton. Call 978-429-8485 or visit thehappychocolatier.com or on Facebook.